A DIL/NetPC family member provides a very compact 32-bit low power embedded system solution with TCP/IP protocol stack, socket-based API, HTTP, FTP and Telnet server for Ethernet- (IEEE 802.3), Bluetooth- (IEEE 802.15.1), LR-WPAN (IEEE 802.15.4/ZigBee), or WLAN/Wi-Fi-based (IEEE 802.11a/b/g) embedded networking and M2M applications. All DIL/NetPC family members offers the footprint of a standard 40-pin DIL, 64-pin DIL, 128-pin QIL or 169-pin PGA socket with 2.54mm centers and all the hardware and software features necessary to add networking capabilities to any product design. The DIL/NetPC family was developed specifically for products that need to be connected to Ethernet-based networks with maximum performance and minimum development costs. 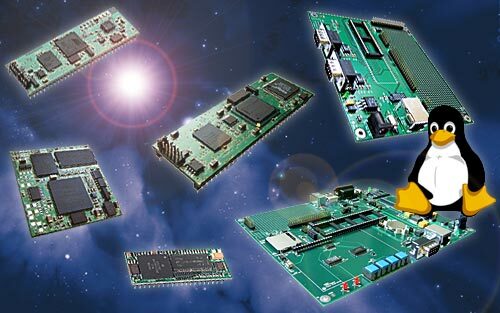 A DIL/NetPC family member is a ready-to-run programmable embedded networking system. The use of DIL/NetPCs will allow you to realize a substantial time and costs savings over other chip-based approaches. Currently, there is no other more flexible Ethernet- and TCP/IP-based embedded networking solution with more development time savings on the market. There is also no faster Time-to-Market for your product with lower costs if Ethernet, TCP/IP and a embedded web server with real CGI, SSI and many other features is required. Copyight (c) 1996 - 2012 SSV and KDW. All rights reserved. webmaster@ist1.de | Impressum.